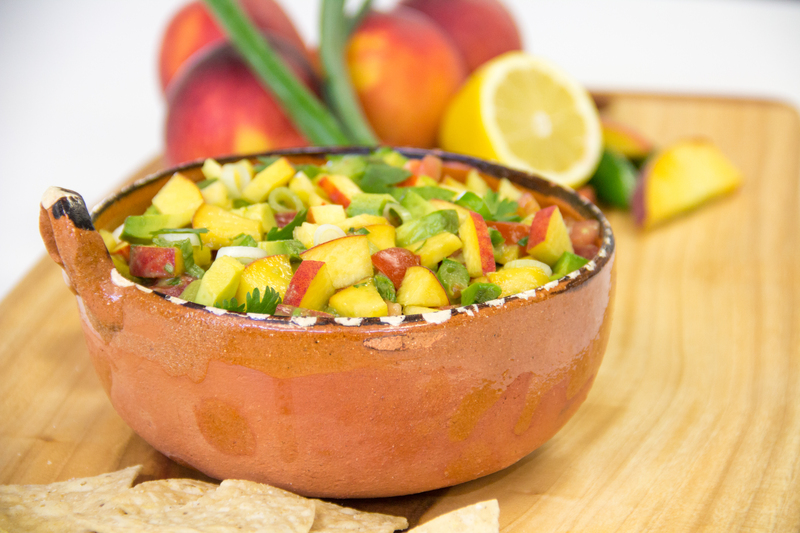 Combine Summeripe Peaches, tomatoes, Serrano chilies, green onions, and cilantro into a large bowl. Gently stir the ingredients. Add avocados to the bowl. In a separate small bowl, whisk together olive oil, vinegar, lemon, and lime juice. 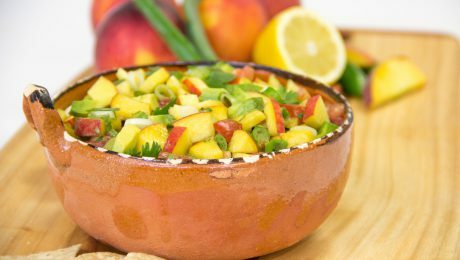 Pour over the peach and avocado mixture and stir gently to blend. Add salt to taste. Serve with tortilla chips or over grilled boneless chicken breast for a quick and easy Summeripe meal. 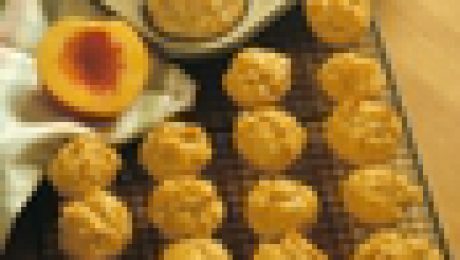 A combination of Summeripe Peaches and Nectarines can be used. No need to skin the nectarines. 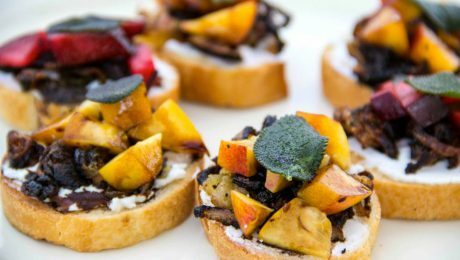 Delicious Summeripe Peaches, goat cheese, crispy shallots and sage leaves drizzled with a sweet balsamic vinegar reduction sauce create the ultimate summer time bruschetta. 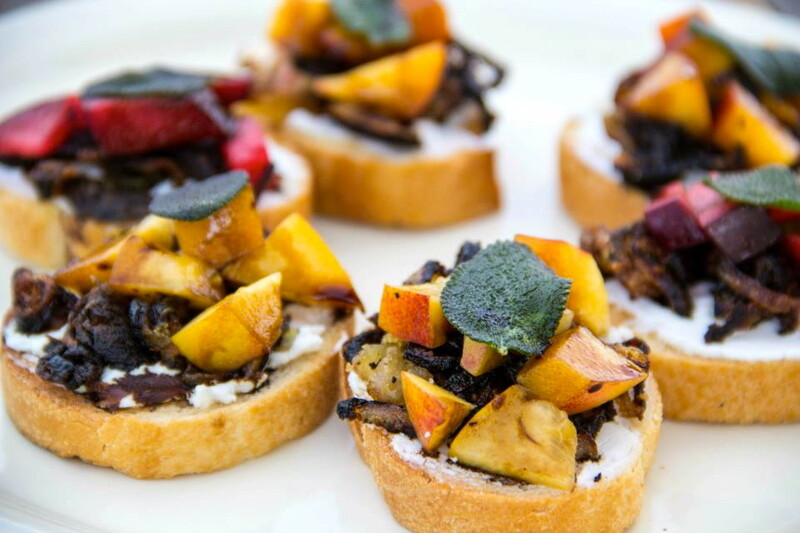 Use Summeripe Peach Bruschetta as an appetizer, first course, or even as a delicious snack! In a small saucepan, reduce balsamic vinegar over low heat until reduced to 1/2 cup, about 45 minutes. Set aside. Store remaining vinegar reduction in an airtight container. Heat 3 tablespoons olive oil in a skillet over medium-high heat. Add shallots and sauté until crisp. Place crisp shallots in a small bowl and set aside. Place whole sage leaves in the skillet and cook over medium-high heat until crisp. Remove gently to a plate. Top with crisp shallots and diced peaches. Drizzle with balsamic reduction and place a whole crisp sage leaf on top. 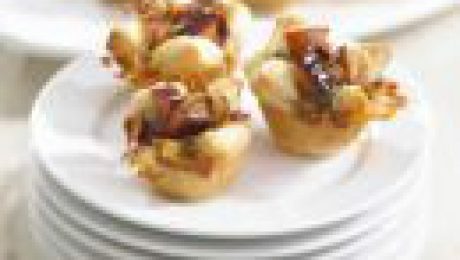 Summeripe Nectarines can be used to make a delicious Summeripe Nectarine Bruschetta. Thaw pastry according to package directions and roll into a 14-inch square on a lightly floured board. Cut into 36 equal squares. 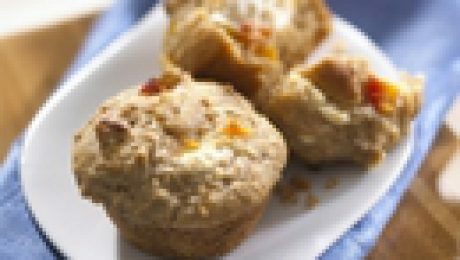 Press each into the bottom of a mini-muffin cup. Trim away outer edge (rounded edge) of Brie and cut into small pieces (1-inch cubes). Place equal amounts in the bottom of pastry lined cups. 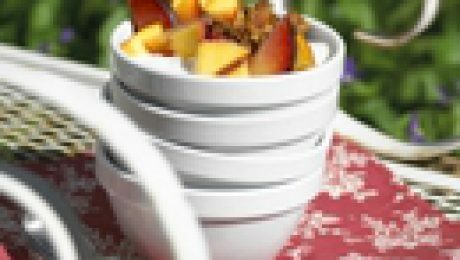 Place several pieces of fruit in each cup on top of cheese; top with prosciutto. Bake for 12 to 15 minutes or until puffed and golden brown. Remove from oven and sprinkle with chopped thyme. Serve warm. Preheat broiler and line a baking sheet with foil. 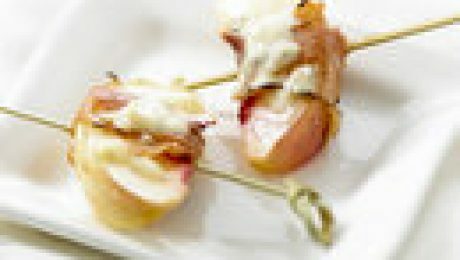 Cut each nectarine into 10 slices and wrap each with a prosciutto strip. Place on prepared baking sheet and broil for 2 to 3 minutes on each side or until prosciutto is crispy. While warm, sprinkle with cheese. Serve with toothpicks. Stir together cream cheese and the reserved 1 tablespoon sugar. When well blended, fold in 1/4 cup peaches. Add milk, oil, vanilla and egg to dry ingredients, mixing just until dry ingredients are moistened. Lightly stir in remaining peaches and walnuts. Spoon 3/4 of the mixture into prepared muffin tine. Place teaspoonful of the cream cheese mixture in the center of each then spoon remaining batter over the top. Place half of the fruit in the bottom of a parfait glass. Top with half of the yogurt and half of the granola. Repeat.